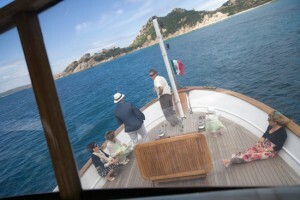 Weddings on boat in Sardinia are the latest in trend toward romantic and fun wedding alternatives. 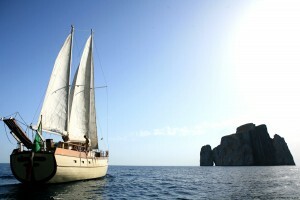 We can organize your wedding on board different types of boats and from different harbours along the Sardinian coasts. Our boats can be beautifully decorated to suit your taste for the occasion and the best catering specialized in fresh fish and local ingredients with an exhaustive choice of other services is available. 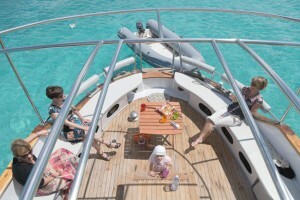 On some of our boats is also possible having an open bar with music for an unusual party on the sea. Sardinia’s beautiful sceneries, with deep blue waters, clear skies and the sea breeze, our warm and personalized service and the privacy of your own boat will enhance and complete your romantic day. Whether you rent an elegant sail boat, a vintage vessel or a luxury motor boat, we will take care of every detail to make your wedding on boat in Sardinia a truly unique experience. 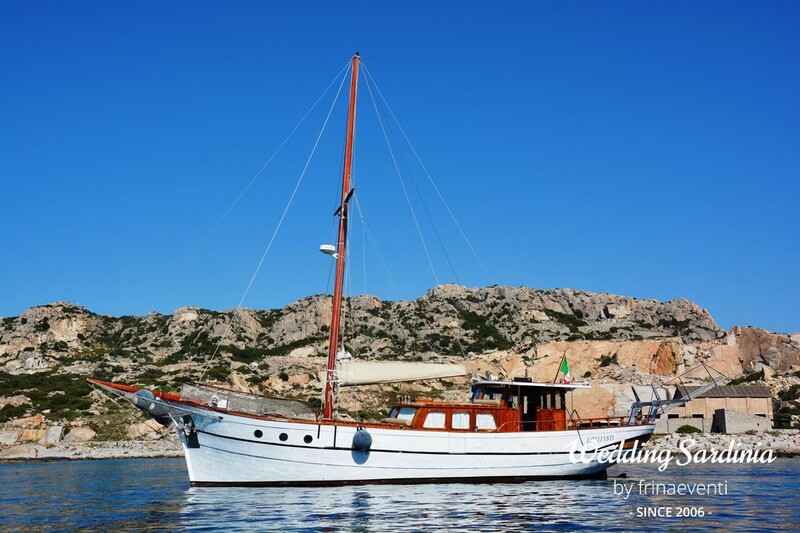 To find out more detailed information about type of boats, location and prices, please contact our wedding planner.